It’s that time of year, when pundits, news outlets, and TV shows look back on the year in review, when Facebook and Twitter feeds are filled with best-of lists. So why not jump on the bandwagon? Here’s our look back at 2015 with our Top 10 preservation successes. Thank you to everyone who supports our work; together we can make a difference in communities across WNY. Here’s to many more successes in 2016! 1. 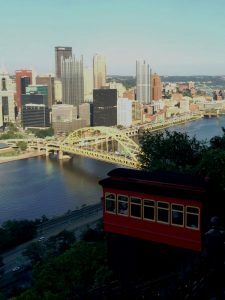 The Preservation Conference SELLS OUT! For the first time in its 29-year history, the Preservation Conference had sellout attendance! With over 300 attendees, we had to shut down registration the day before the Conference kicked off. Beyond just the numbers, our recently expanded multi-day, Statewide Preservation Conference was an extraordinary event. It took place in the beautiful city of Geneva, where we were surrounded by success stories and innovative community-based projects. 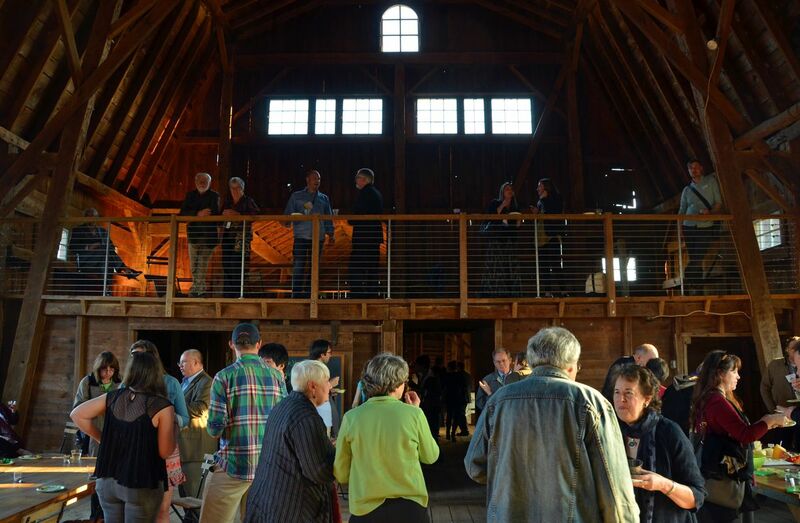 We had a party in a re-purposed historic barn. We had dance performances. 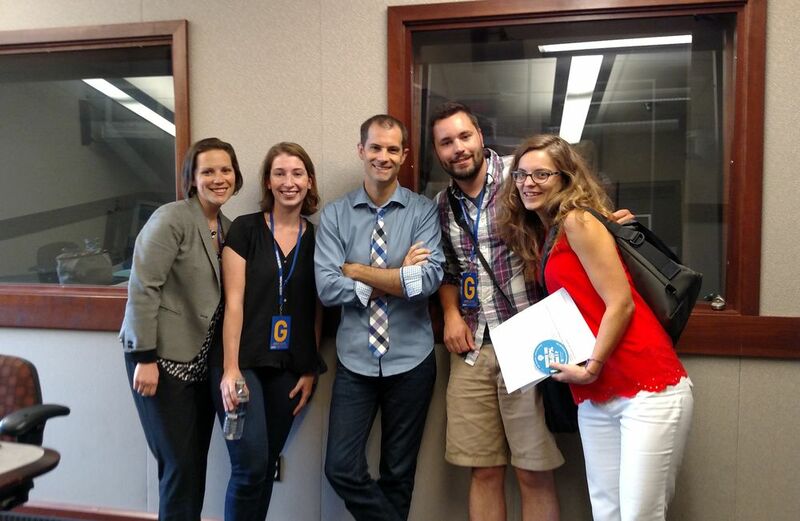 We learned from a diverse lineup of amazing speakers. 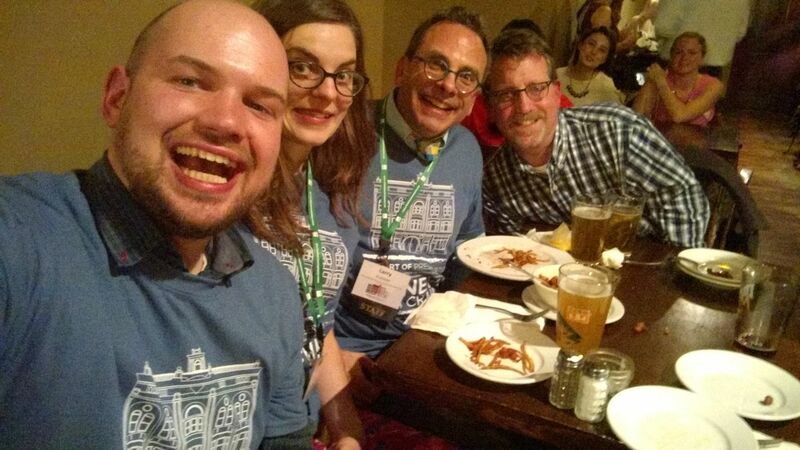 And some of us even got t-shirts! 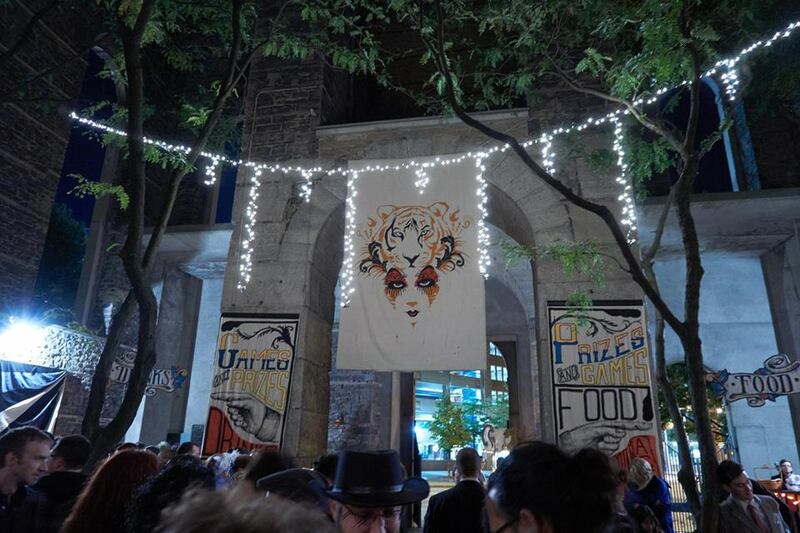 In March, our young affiliate group, the Young Urban Preservationists (YUPs for short) celebrated their first birthday. We had a busy year with a series of classes, which we dubbed Old House Hacks, at The Brainery; our second annual Bikes, Beer & Buildings scavenger hunt with over 75 in attendance; a launch party for our coaster program at Cure; a Siding Striptease where we ripped the vinyl siding off a fellow YUP’s historic house; Park(ing) Day; and an appearance on WXXI’s Connections with Evan Dawson. After a few years of hard work, four new historic districts–and over 1500 properties–in the 19th Ward neighborhood of Rochester were officially listed in the National Register of Historic Places. 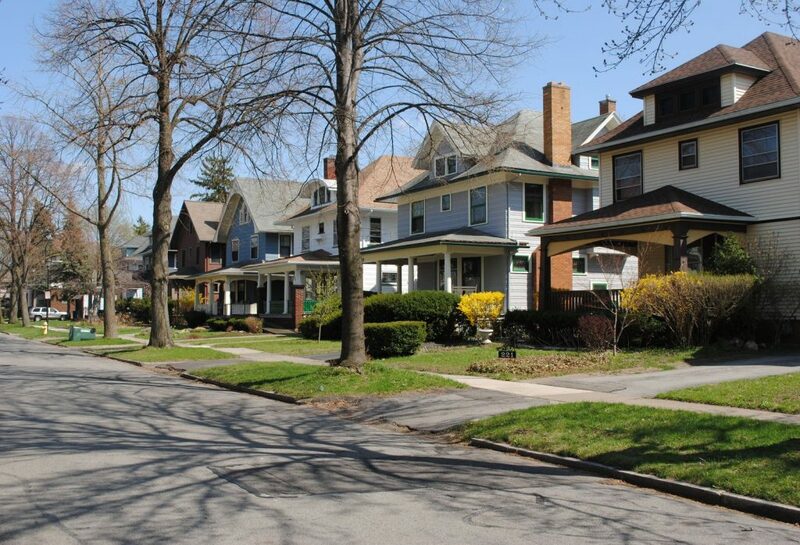 Now, homeowners can take advantage of the NYS Historic Homeowners Rehab Tax Credit program to help make improvements and repairs to their homes. This project could not have been completed without the 19th Ward Community Association and our consultants, Preservation Studios, as well as generous funding from the Rochester Area Community Foundation, the Preservation League of New York State, the National Trust for Historic Preservation and neighborhood residents. One of our 2014 Five to Revive, the Hillside Cemetery and Chapel, made great strides this past year. Local preservation advocates have been working diligently to program the Cemetery and Chapel with new uses, to forge new partnerships, and to bring greater exposure to this important historic site. Because of these efforts, the Town of Clarendon (the owner of the property) has received significant funding to help repair the Chapel. In December, the Town was awarded $126,210 from the Finger Lakes Regional Economic Development Council to help fund much-needed repairs to the Cemetery Chapel. 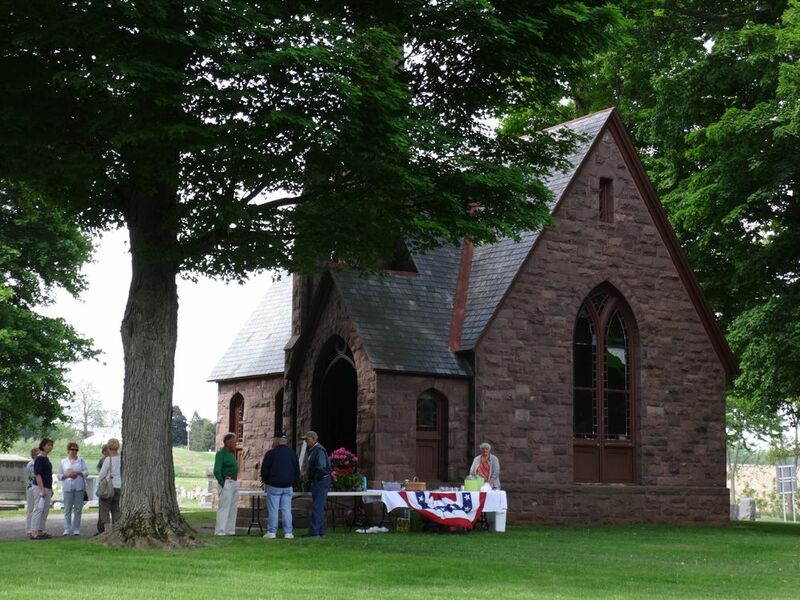 Earlier in the year, the Town also received a grant of $20,000 from the Rochester Area Community Foundation, to be put towards the replacement of the slate roof on the Chapel. 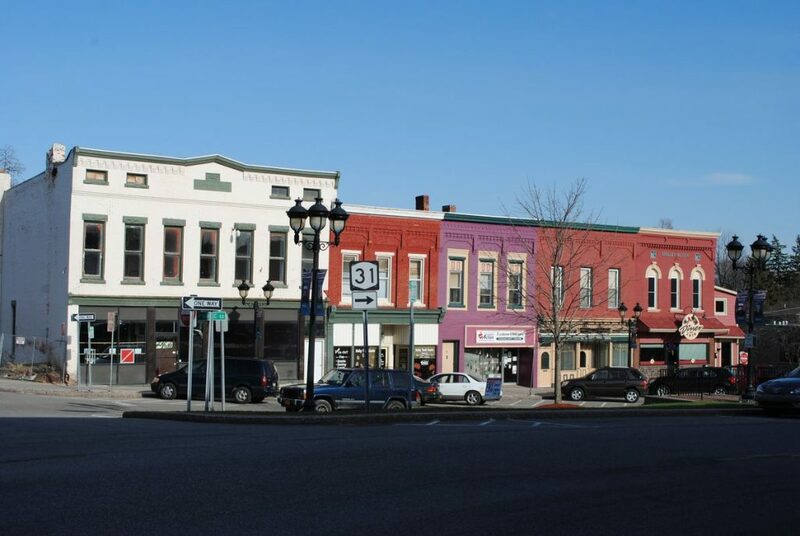 Just a stone’s throw from the Hillside Cemetery, the Village of Holley saw the creation of a downtown historic district. The district has been approved by the State Review Board and is awaiting official approval from the National Park Service. Once officially listed, properties within the district–including our 2013 Five to Revive, the Holley High School–will be eligible for the state and federal rehab tax credit programs. 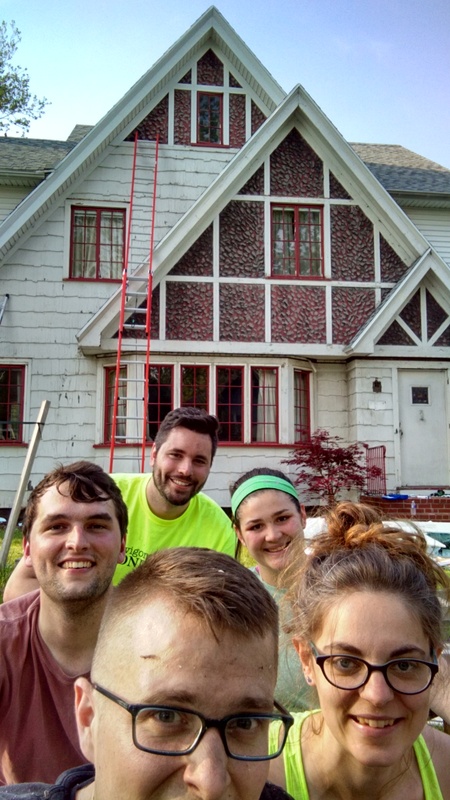 Landmark staff were able to assist Village officials in preparing applications for funding, including a grant from the Preservation League of New York State. 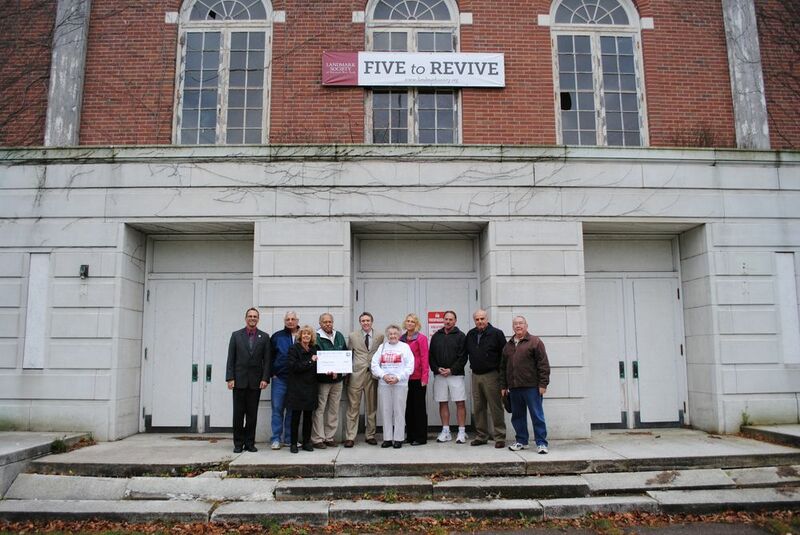 We are continuing to work with the Village to find a developer to rehab the High School. This summer, we partnered with Good Luck Restaurant to host an al fresco dinner on the grounds of the Stone-Tolan Historic Site. 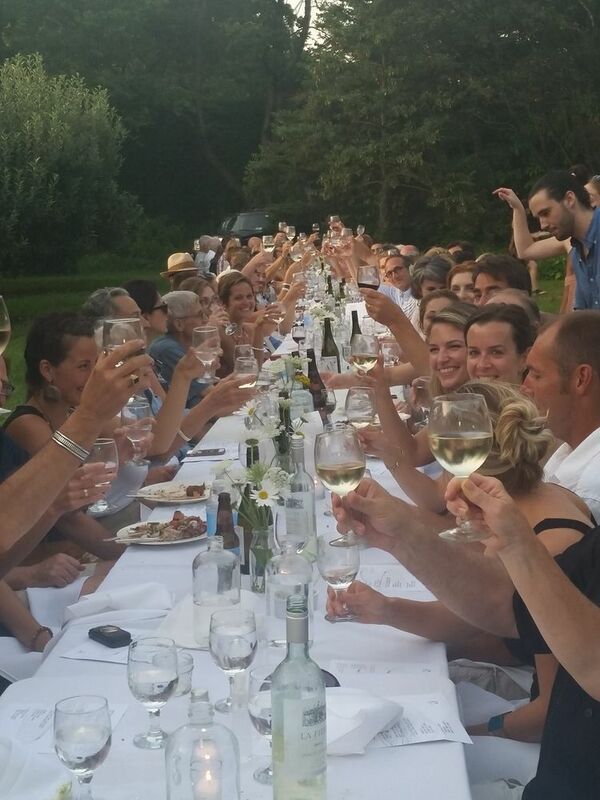 135 guests enjoyed a delicious four course meal on a beautiful summer evening. Our very own urban oasis, St. Joseph’s Park, continued to see a revival, with new uses throughout the spring, summer, and fall months. The site hosted Sunset Concerts, the Institute of Creative Music, The Yards’ Spectral Carnival, and weddings. 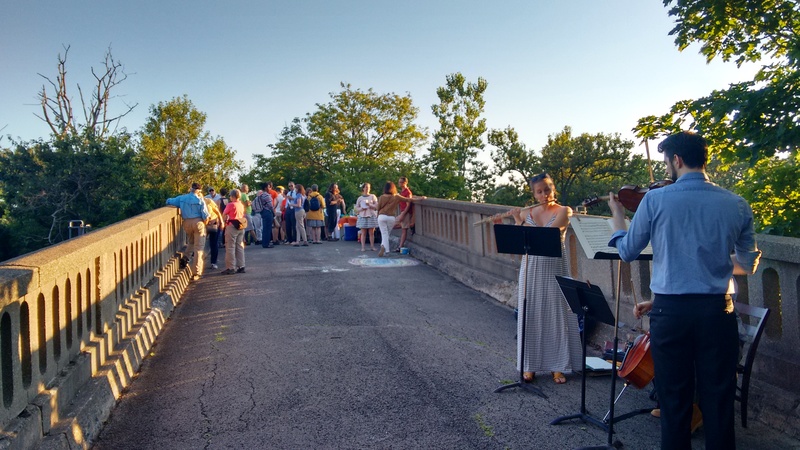 In July, we partnered with the Preservation League of New York State and Monroe County Department of Parks to host an evening party on one of the Olmsted pedestrian bridges in Genesee Valley Park. The event was meant to showcase these at-risk bridges, which were included on our 2013 Five to Revive list. Nearly 100 folks joined us for this sunset event over the Canal. The 4 day trip sold out in record time, with a lengthy waiting list of folks hoping to join us. 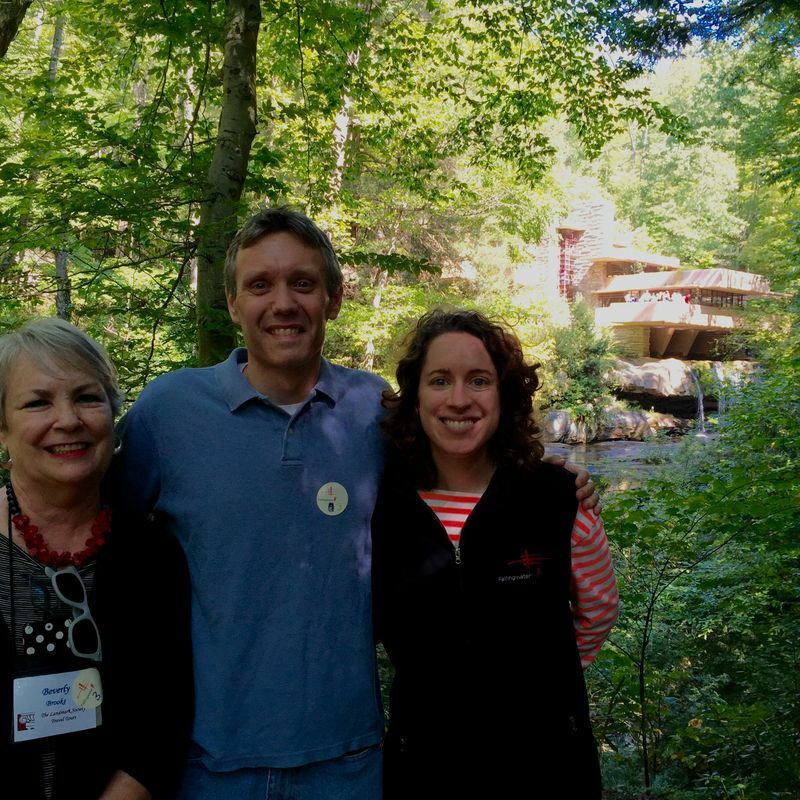 Our visit in September included the best of Pittsburgh, including the Carnegie Museums, a ride on the Incline, dinner in a former church turned brewpub, and the Pittsburgh Symphony’s opening night – as well as tours of Frank Lloyd Wright’s iconic Fallingwater and lesser known but equally impressive Kentuck Knob. 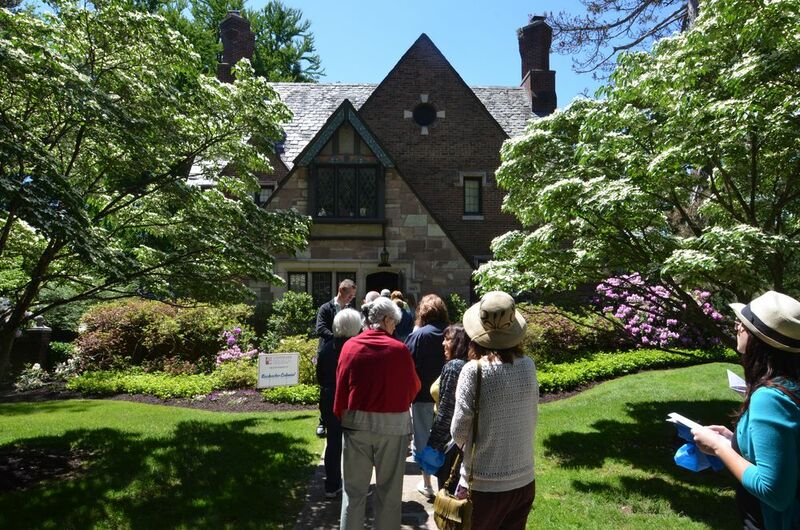 We are proud that this private neighborhood agreed to admit ticket holders from our June House and Garden Tour – the first time they’ve ever opened for a tour. They joined other neighbors in welcoming over 1600 folks to the event which was, believe it or not, our 45th annual house tour! The pre-tour talk by resident Larry Champoux attracted a standing room only crowd. You can continue to support our work across the region by making a contribution to our 2015 Annual Fund. 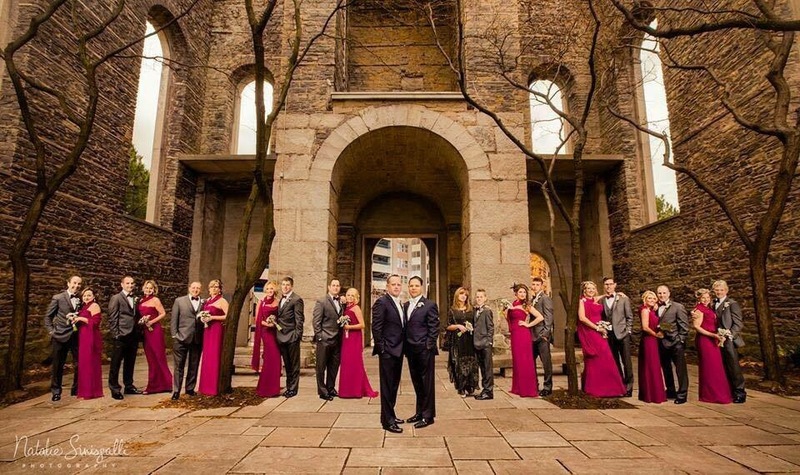 This entry was posted in Success Story, Updates by Caitlin Meives. Bookmark the permalink. We love the Home and Garden Tour. This year was especially thrilling, going to a neighborhood that was new to us. Thanks for a great time!